Know the difference between & Made in USA and Assembled in USA? Made in USA. Three little words, with a not so little impact! These days, some companies will do anything to hide where their products are actually manufactured. And they are getting clever. Companies will label their products as “Distributed By ABC Corp” and list a US address. Others will label their products as “Produced By ABC Corp” and list a US address, seeking to obscure the origin of its products. Some will only show the company name and address on the packages! The product is assembled in the U.S. Most parts or materials are Made in USA. For a product to be called Made in USA, it must be “all or virtually all” made in the United States. This includes the 50 states, the District of Columbia, and U.S. territories. “All or virtually all” means that all significant parts and processing must be of U.S. origin. The product should contain no — or negligible — foreign content. This is an implied statement of American origin. Look for the fine print to see where the product was actually made. Without such a statement it is questionable at best. Of course, one of the best ways to know if the brand is Made in USA is if they are MAM Approved! Get MAM Approved by becoming a MAM Member today. Find out how! Your customers will ask for USA-Made products because they know American manufacturing is a big deal – it supports over 17 million jobs across the country and contributes over 12% to U.S. GDP. Buying products with the Made in USA label keeps those jobs going, and keeps our economy thriving. And, when you buy a product made in the USA, you can be sure you’re getting American quality and not a cheap, foreign knock-off. So be ready to show customers you’re Made in USA products. Learn more about MAM Membership. Have you come across some creative, yet deceitful labeling? Let us know in the comments below. If you have pictures, email them to us! My favorite deceptive claim is “Designed in California” or “American design” paired with “manufactured in China”. How is that deceptive? Facts are facts. Excellent article. 100% correct. When we worked in Niagara Falls, someone brought up a stuffed animal and we looked at the tag. A big blue tag with a bald eagle and above it’s head it read “USA”, fine print said “Made In China”. Despicable! The distributed by—– is very confusing! I try to buy all made in USA products! It seems like “distributed by…” usually, if not always, means NOT American made? Is that accurate? I am on the phone with Amazon as I write this, asking them why the people they allow to sell on their site are not required to put down country of origin. Even Ebay makes you do that. And when asked skirt around and give you fiber counts and how soft the foam is??? Shouldn’t they be required to make suppliers enter this information when listing?? I used to work at Walmart in the electronics department, and we sold TVs from a company called “Element.” On each box was a very prominently displayed logo in red, white, and blue that said “Assembled in the USA.” Very misleading to our customers, but after a while they started to catch on to what it really meant. Elsewhere on the box in small print was, you guessed it, “parts made in China” or something to that end. Then again, this shouldn’t be much of a shock coming from the land of all things foreign-made. If we had a political system staffed by people who represented the American people instead of business interests, especially Wall Street, there would be clear legislatively mandated marks, but don’t expect that since they refuse to do it on food, etc. BTW, the two non-Trump Republican presidential candidates have either worked or had a spouse who had lucrative jobs at Wall Street banks, and Ms. Clinton is joined at the hip to Wall Street, a slight example being the munificent fees for speeches at places like Goldman, Sachs while ha! these rich, sophisticated people hang on her every word so as not to miss any of her sage advice. On the general subject of distinguishing foreign goods, the World Trade Assn. ruled within the last year that unless the US wanted to pay about $250 million (per year?) to Canada and Mexico we could no longer force meat importers from those countries to show the origin of that meat, and the U.S. immediately caved by agreeing not to do so, although it may not yet be in effect because the administrative side is moving at the usual glacial pace of the D.C. employees-for-life. But, none of it may matter since there’s been a law for a number of years that meat and fish at retail has to show the country of origin, and I ask you how often do you see such a label in your supermarket? Didnt I just recently hear that the good_for_nothings on Capital Hill passed something saying that we will no longer have labeling telling us where the mewilin grocery stores comes from ? I dont know about the rest of you but this frightens me !! Can anyone help me with the definition of Product of USA? I’ve looked for how that differs from Manufactured in the USA and can’t find the distinction. Thank you!! Why can’t Boy Scouts of America uniforms be made in the USA? The used to be. There is still an American Labor merit badge for BSA, I’ve taught it before when my shirt had an union label in the right hand shirt pocket. Not anymore. I bought some “StriVectin-SD” from Zulily and it says “manufactured in the USA” yet the one I bought at Macy’s says Made in the USA. Now I am afraid to use it. In my industry there is a heavy reliance on imported metal parts. Part of the reason for that goes beyond just the price – there are also elements of expertise and quality and that is important to me. I wanted to maintain some level of North American content, so I moved some of my production to the USA. Now my products provide work for some Americans. It is a global economy and that is how it works in my industry. I realize there are those who try various ways to cheat the system, but at the same time, if there is a US component to the manufacturing process and I want my customers to understand that and I place very specific qualified Made in USA claims on the products I am playing by the rules and I am not trying to be deceptive. I genuinely value the craftsmanship that my USA team instills in the product. Why wouldn’t I want that known and where is the shame in that? Exactly Ron! We do as well. 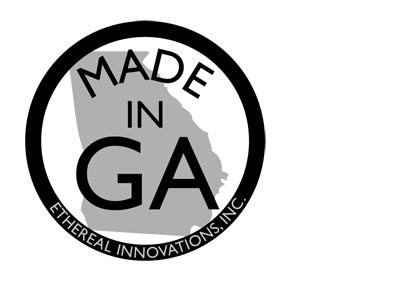 We source what we can in the USA (injection molded parts) but in the electronics industry there is no way to buy displays and components that aren’t foreign sourced. Solid Wood Cabinets are built in China. I didn’t find out until they were delivered in boxes that said “Made in China”. The store has American flag stickers all over with a very small “Built in” written over the very large “USA”. I just wish I could remember if the sales person ever said the words “Made in USA”. When I complained, the Customer Service Rep was very quick to correct that the cabinets were built in the USA. It was obvious they had this type of complaint in the past and just as obvious that they are peddling a product to consumers by making them believe it is American made. The cabinets do appear to be well made with all plywood construction but what are they gassing off? I bought a toilet seat from Lowe’s that says ‘American Made’ and ‘Assembled in the USA. 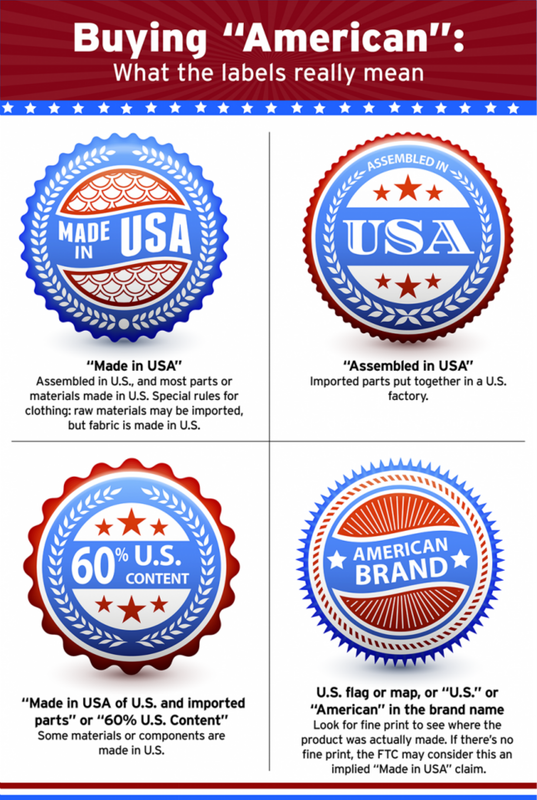 First off, according to the FTC, American Made and Made In USA etc are interchangeable. But why would they say it was made in the USA then say it was assembled in the USA? For a big company like Kohler it just seems like something is off. And regarding your post about what Assembled in the USA means – what you stated left out the context. Which makes me question how you actually qualify for the Assembled classification. Mostly though I don’t see how Kohler claims both. I believe the only toilet seats made in America are from Bemis in Sheboygan Falls Wisconsin. https://twitter.com/withinthevail/status/960980920277745664 Casper Mattress ASSEMBLED in USA not made. FTC regulations are vague and are not enforced evenly. 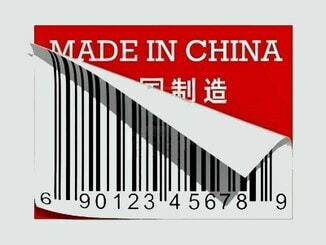 A French company can import parts from China, assemble them in France and label it “Made in France”… then export to the USA, and our Customs laws are totally fine with this. But, American producers are penalized with having to make qualified statements. Being absolutist about claiming “Made in USA” hurts American manufacturers. It puts them at a competitive disadvantage. Some component parts for certain products are not available here, and need to be imported. Be glad someone is building products here with imported or domestic parts. If they can’t claim it, then one of the advantages of doing it here goes away… building overseas becomes even more tempting. I think “Made in USA” should be clearly marked on food items from the USA. This would allow health conscient consumers in the USA and Europeans avoiding to buy inadvertently generically modified foods. I recently purchased a mattress by Serta I Comfort Blue Max 1000 Plush, the label has Blue Max 1000 PS Zip. Part# 500801368-150 Queen Mattress. The law label reads its assembled in the USA. I purchased it from a retailer, The Mattress Center, it says Made By: SSB Manufacturing in Moreno Valley, CA. I asked the sales rep if it was manufactured in Ca and he said yes, but from reading other vendors online, some have Made in USA, why doesn’t this law label say the same? the law label was also not stiched on, it had a blank piece stiched on and the adhesive label stuck to it. I just want to make sure that the product is what it is and not a knock off. ACCOR Technogy East Wenatchee WA. advertises 100% made in America, most parts come from over seas. False advertising. Important to do something about the Chinese Trade Rules! Americans – you and me – got shafted by NAFTA – Very unfair to Americans! Some Politicians are – get ready for this….. are ACTUALLY working to correct our bad trade deals made long ago with China!